In our initial report on April 5, 2016 (the "Initial Report"), we provided substantial evidence to support our initial fundamental claims about VCRA and its management team. An analyst response to the Initial Report was published on April 6, 2016, yet it is noted that they avoided responding to any core fundamental arguments. We review these initial fundamental claims in Section IX of this report. Each piece of incremental due diligence we have obtained subsequent to our Initial Report both corroborates and increases our conviction that Vocera has over 60% near-term downside (long-term price target of $0). VCRA's technology and competitive position is far worse than we thought. User complaints about VCRA's device continue to this day. These are some of the many reasons VCRA continues to report losses each and every quarter. We believe VCRA's losses will continue. The rest of the report will outline why. In Section III, our new diligence outlines why VCRA has struggled to generate profits. VCRA relies on non-proprietary off-the-shelf components to a far larger degree than any of its competitors. This system is a loosely-engineered mix of inputs are reminiscent of computer network design from the 1990s. In other words, it is akin to selling VHS in a world that has Blue Ray DVDs. VCRA has a limited ability to control costs as it is merely an assembler that adds minimal value to its end product. This explains why margin has been so difficult to come by - and why VCRA's competitive position is so weak. 3) The competitive threat of low-cost or leased LTE/cellular hotspots is now real. We provide evidence Verizon has expanded its efforts to develop business in hospitals. We see a damned if they do and damned if they don't conundrum here. VCRA needs to out-innovate its competition or it will die as it is unlikely to generate profits with its current uncompetitive product design. If VCRA does try to out-innovate the global technology behemoths they are up against, they have little chance of success given their limited track record of innovation. Meanwhile their operating losses and cash flows will only get worse as innovation spending increases. Conversely, if VCRA does not invest heavily and quickly to drive innovation, then growth will be nonexistent as the market learns of better products, customer churn will increase, and operating losses will only increase. Research and development expense has been flat over the past year. Management's fat salaries and ongoing insider stock sales appear to be enough motivation for them to choose the status quo (with no incremental spend associated with innovation). Mike Hutchinson (Former VP Finance of VCRA) previously stated that the company was going to "fall off a cliff." 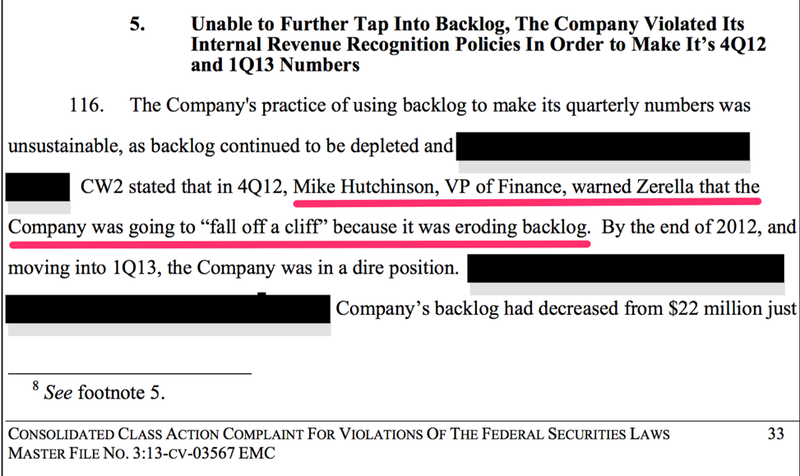 Considering the numerous new competitive threats VCRA is facing, its uncompetitive product offering, and VCRA's questionable backlog figures, we believe VCRA sales are at risk yet again and could easily "fall off a cliff" (remember - these are not our words). We take great pride in the quality of our work and in-depth research while reviewing both the bull and bear case. We believe we now know why VCRA continues to report losses even after 15 years of operations. 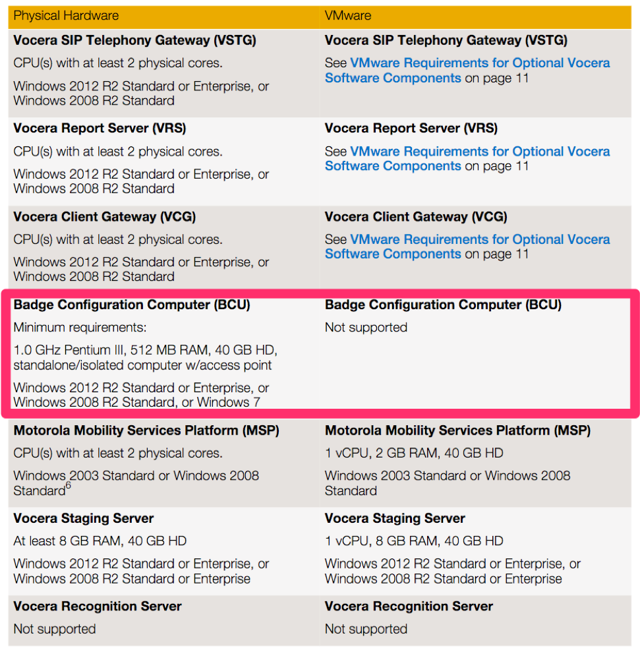 Our original diligence suggested that Vocera's B3000/B3000n badge is unloved and outmatched in every way that matters (i.e. 5 years since major product revisions, has no touch screen, smaller screen size, doesn't work on cellular networks, is the costliest device etc.) - our incremental diligence corroborates this claim. 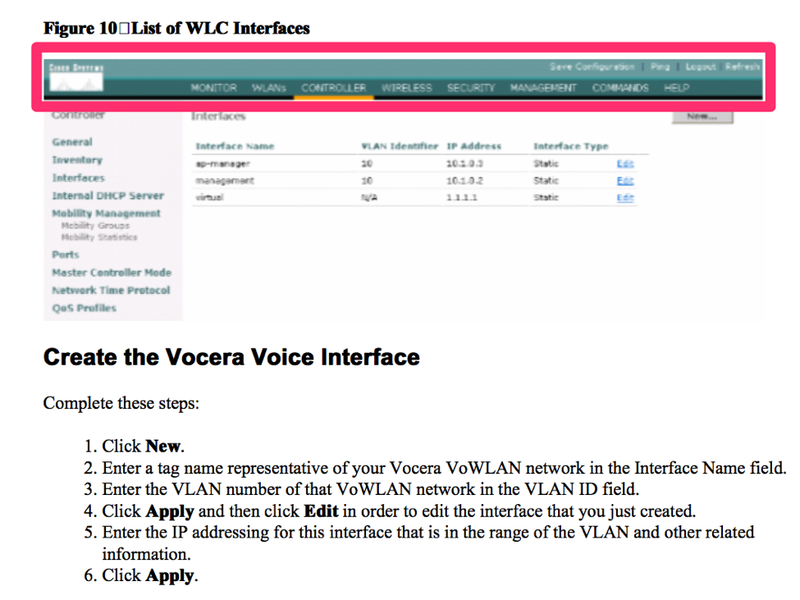 Management's promotional commentary of late have caused us to take a deeper dive into Vocera's communications system. VCRA's claims that it "offers the most robust clinical communications system in healthcare" and is "well-positioned to meet this demand" - we believe both of these statements about VCRA's system are misleading. The Telecom Expert (an industry expert who chose to be anonymous) stated: "VCRA's product is a loosely engineered patchwork of components VCRA didn't fully design and manufacture themselves." 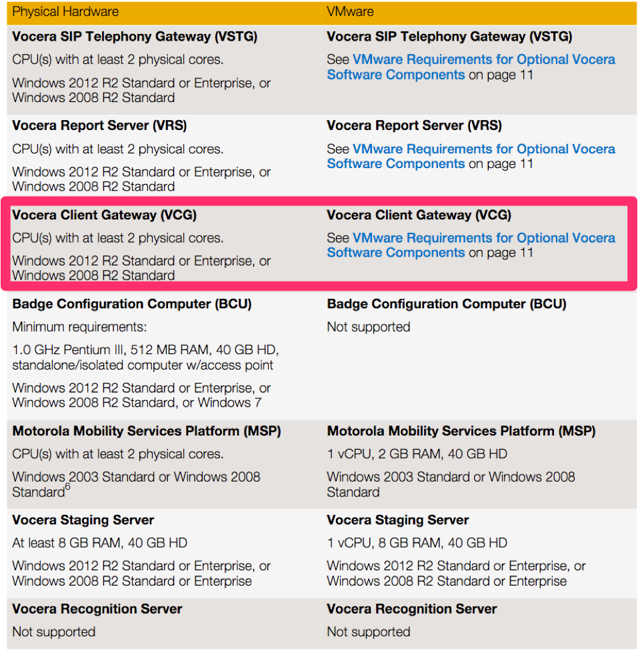 VCRA's loosely-engineered system is built with numerous non-proprietary components. 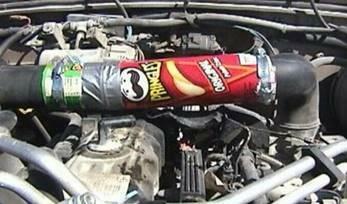 This patchwork design is similar, in our view, to patching a car's exhaust system with a Pringles can - as seen below. 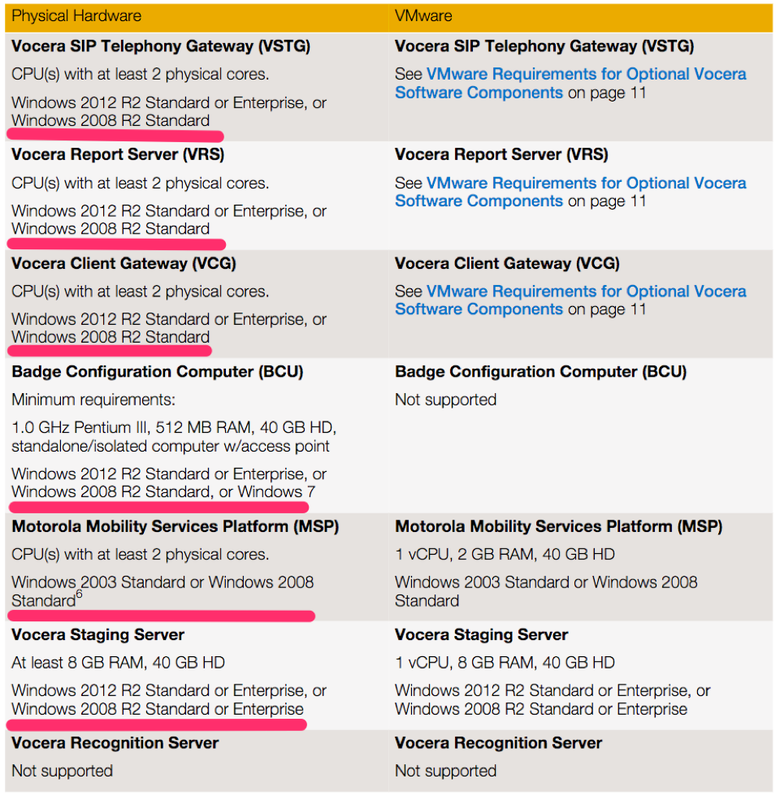 VCRA confirmed the use of these off-the-shelf components in its recent Form SD filing at www.sec.gov. Figure 1: The following chart depicts the numerous non-proprietary off-the-shelf components VCRA uses to 'build' and 'operate' its product (see Exhibit 1 for additional details). The use of these non-proprietary components as inputs for VCRA products results in lower margins as suppliers charge fair value for key inputs. All of this inefficiency, not to mention the basic lack of a cloud product, results in an obvious inability to compete within the market. VCRA's path to profitability appears impossible given these facts. 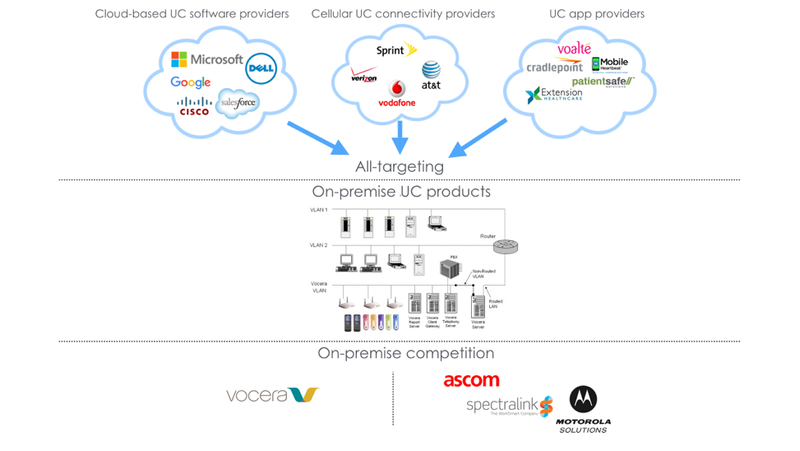 Figure 2: Meanwhile, below we depict the components VCRA's 'legacy' competitors (meaning non-cloud) utilize for their products - it is clear that these competitors use less non-proprietary components resulting in more margin held in-house. As a result of their commitment to designing and manufacturing their own products, these companies have a much greater chance at generating profits and/or offering discounts to customers in order to win new business. Figure 3: Cloud is the future. Healthcare, although it requires enhanced privacy measures, will follow suit, and utilize cloud applications provided by the competitors below, among others. VCRA has an uphill battle bringing an on-premise product to a gun fight against global tech behemoths (i.e. Salesforce, Microsoft, Dell) who offer modern cloud-based products, are world-renowned innovators, are better capitalized, and are capable and committed to spending far more on research and development. 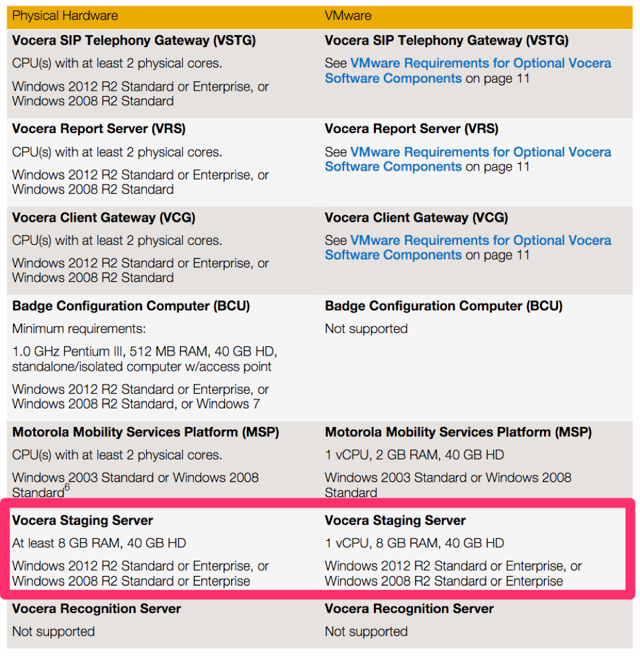 Figures 1-3 above illustrate that VCRA has 11 non-proprietary components as compared to the cloud competitors who use 3 non-proprietary components. 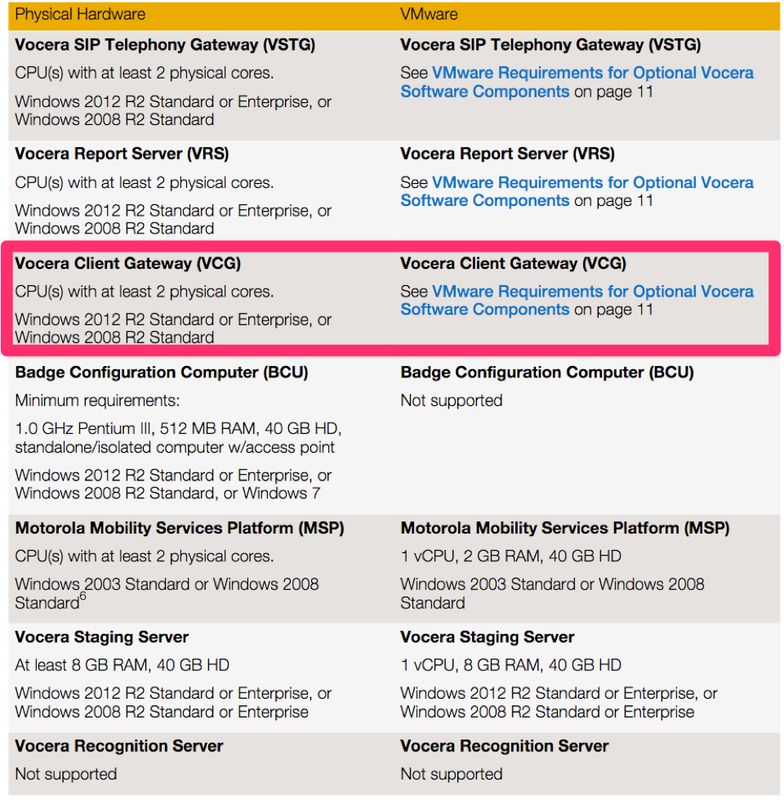 VCRA uses over twice as many non-proprietary components as its other competitors. VCRA is at a basic competitive disadvantage as a result of its dependence on its many suppliers when its competitors have a more streamlined supply chain. As VCRA relies on so many supplier inputs, it has maintained losses for years due to its lack of control over costs. So what has changed or what can change that will improve VCRA's chances in this market? VCRA's one chance is to out-innovate the competition. However, we deem their chances of success to be very low - especially as they haven't truly innovated in years. VCRA's sales have been essentially flat over the last three years and look worse once you consider backlog - we elaborate on this in section VIII. In our Initial Report we speculated that at least 20% of VCRA customers have decided to replace their VCRA system - this was quickly verified by the Piper Jaffray analyst in response to our Initial Report. The Piper Jaffray analyst also said "Many of these hospitals did shut off the Vocera system." Let us not forget that on average, according to VCRA, each customer that walks away is forgoing $300k in sunk costs to replace VCRA's system - this is likely done after considerable thought, especially as hospitals are often cash-strapped with tight budgets. This should be alarming to investors. It is difficult to imagine spending such a substantial amount of capital only to be let down by VCRA's product, and give up on it. 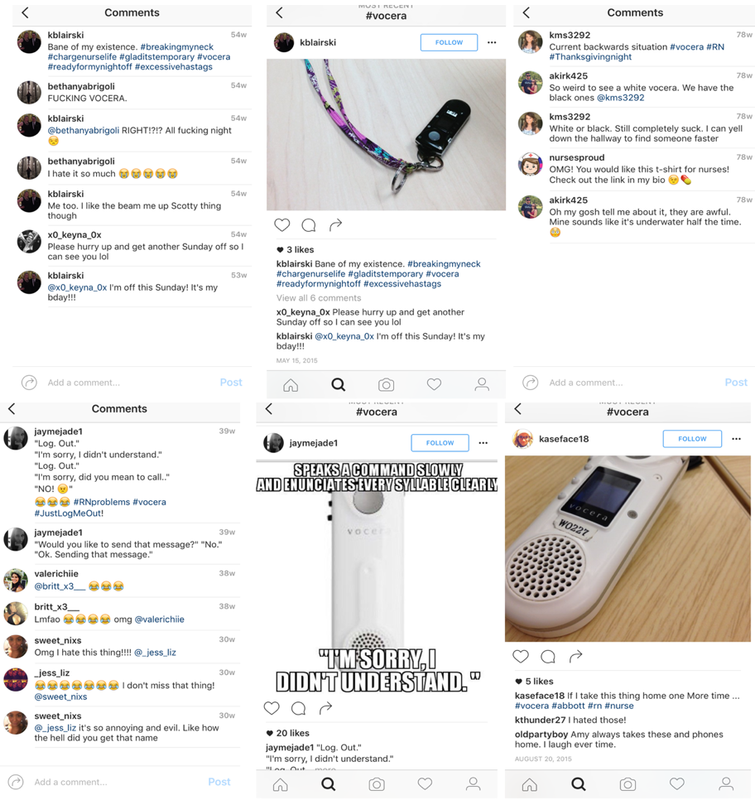 The following comments and visuals were found using Instagram and the #vocera hashtag on May 27, 2016. All of these posts are relatively recent. 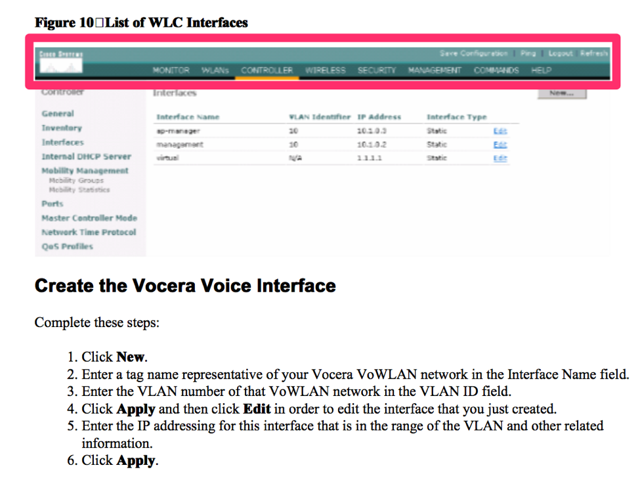 These posts serve as one entertaining version as to why Vocera's product is unloved. 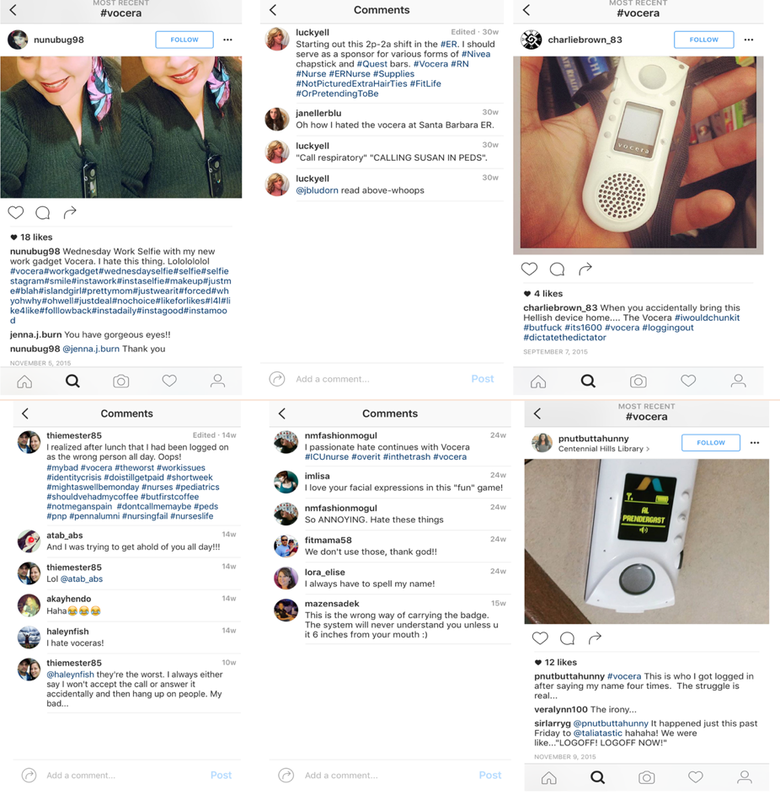 § Nmfashionmogul: "I passionate hate continues with Vocera #ICUnurse #overit #inthetrash #vocera"
§ Fitmama58: "we don't use those, thank god!!" § Haleynfish: "I hate voceras!" § Thiemester85: "@haleynfish they're the worst. I always either say I won't accept the call or answer it accidentally and then hang up on people. My bad…"
§ Nunubug98: "Wednesday Work Selfie with my new work gadget Vocera. I hat this thing. Lololololol #vocera#workgadget#Wednesdayselfie#...."
VCRA faces an impending smack down courtesy of Salesforce, Microsoft, Dell, Verizon - all of whom have entered the unified communications ("UC") space and have healthcare-oriented products. Additional known competitors are also included within this discussion below. 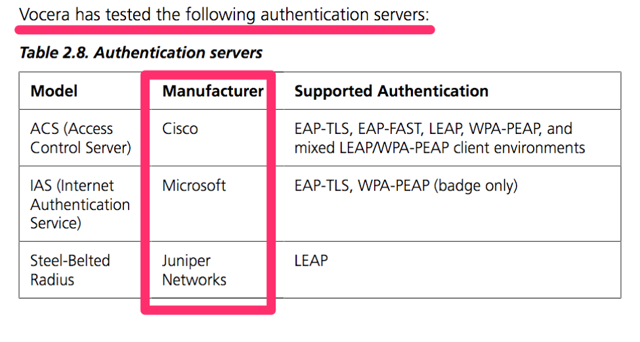 Below, we provide evidence of Salesforce, Microsoft, and Dell (i.e. the global technology leaders) entering VCRA's sector. VCRA's claims that it "offers the most robust clinical communications system in healthcare." 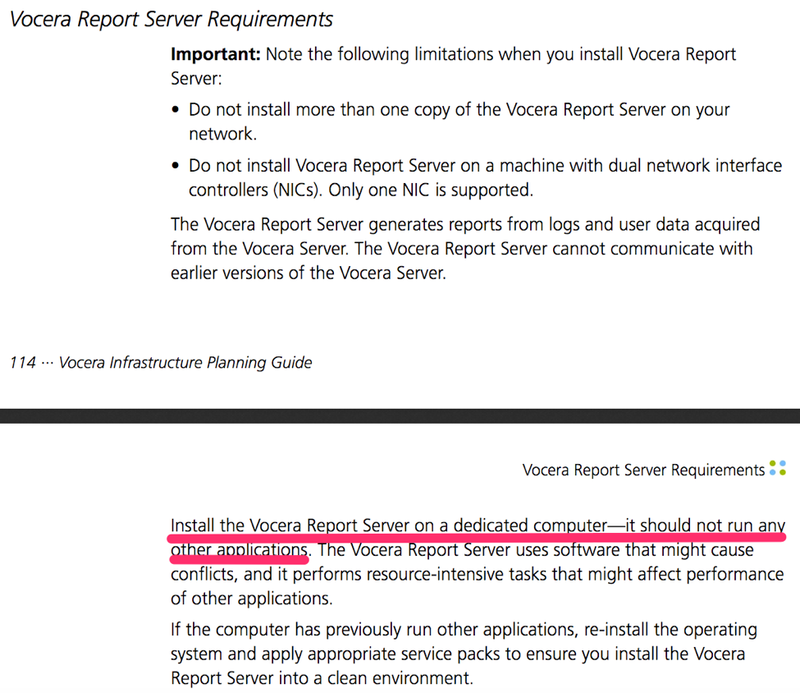 We question this statement and provide evidence of just one competitor's offering below to display the fact that VCRA may offer some functionality with its product but it is clearly not alone in this regard. In fact, we have yet to see one instance where VCRA compares its product to its competitors and explains why it is better. VCRA's competitive position is what matters to investors yet VCRA only ever explains what it can do - and consistently refrains from explaining what its competitors can do. This is a clear sign that VCRA has no competitive advantage and that its competitors likely do. 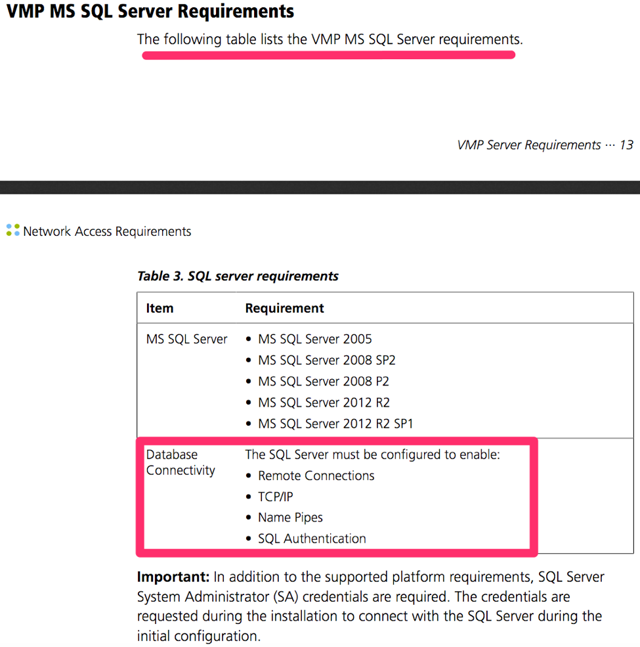 The commentary below is supported by documentation provided in Exhibit 3 to this report. 1. Salesforce's new Health Cloud product offers a wide range of functionality - which is something VCRA claims it also provides. We question who provides the most functionality and most robust, modern product? We're quite convinced the answer to this question is not VCRA. We suggest all investors watch the overview/demonstration of this product. 2. 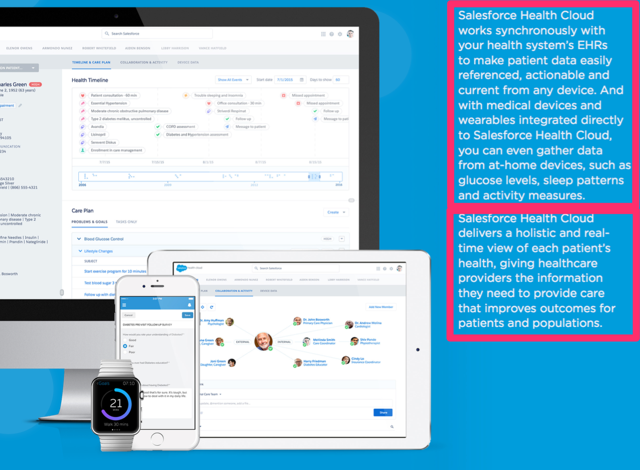 Salesforce provides a modern user interface available on all types of devices, integrated with hospital systems maintaining patient data. 3. 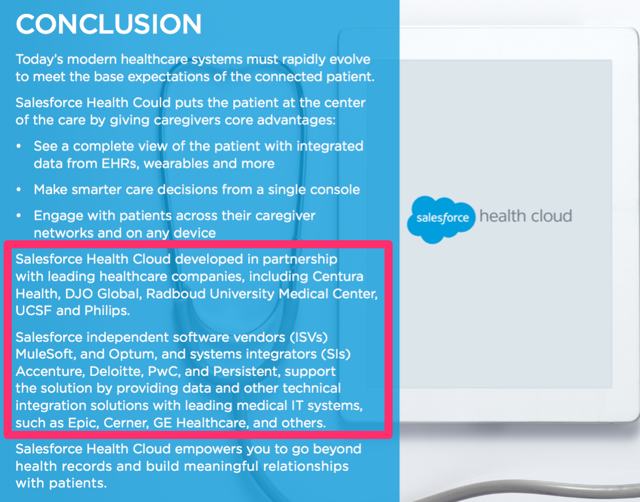 Salesforce is unsurprisingly partnered with well-respected technology companies. Who is VCRA partnered with? VCRA has alluded to a partnership with Apple in a few random instances. We believe that is a total farce. 4. 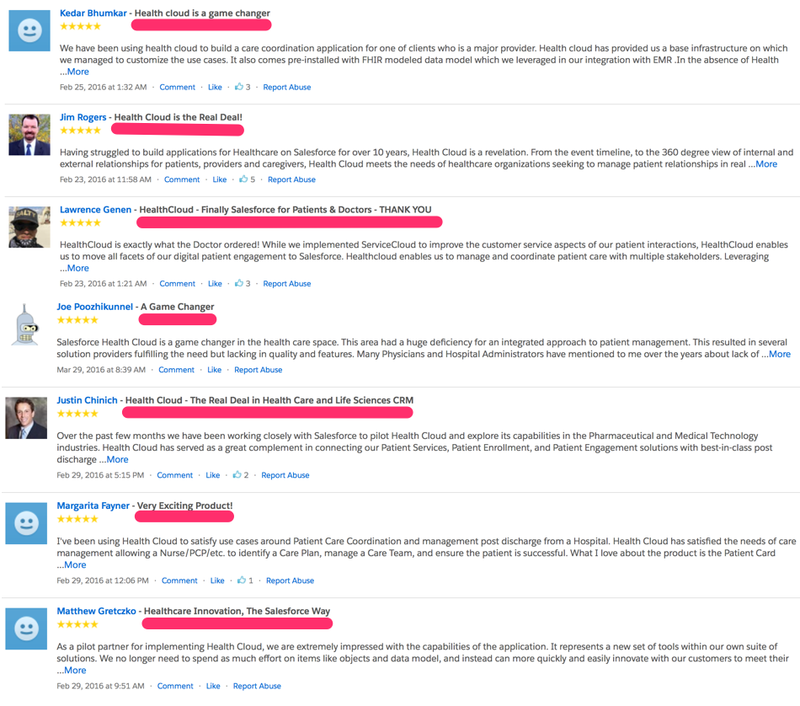 User reviews of Salesforce's Health Cloud product are promising. 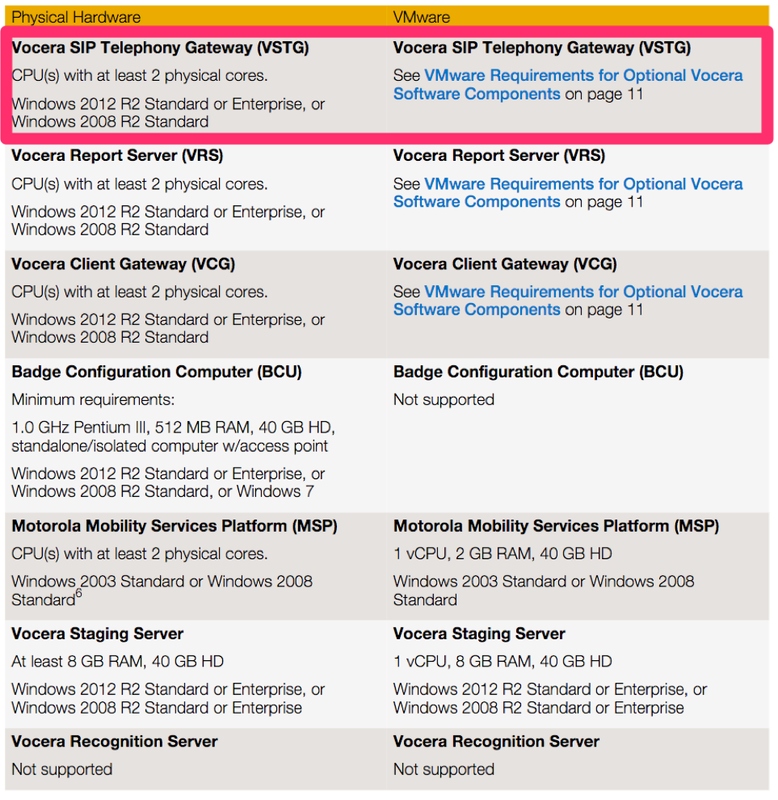 We suggest comparing these reviews, included in Exhibit 3, with the VCRA user commentary we provided previously in this report and the Initial Report. 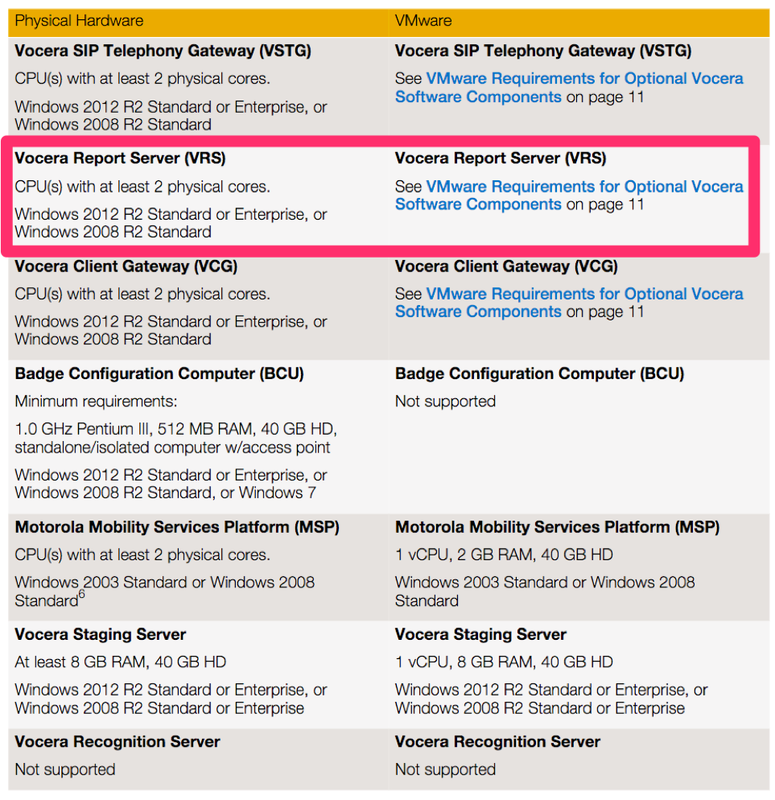 Our additional research uncovered specific functionality offered by Microsoft that directly competes with VCRA's purported mobile communications product. This link will download Microsoft's Powerpoint Presentation entitled 'Skype for Business in Healthcare'. This document clearly visualizes the extent of Microsoft's commitment to this sector and the significant functionality offered by Skype for Business in a hospital setting. Our additional research uncovered specific functionality offered by Dell that directly competes with VCRA's purported mobile communications product. VCRA's management team and their pre-cloud system design cannot complete with global technologies companies that innovate in-house and have massive capital at their disposal. Simply put, when a potential customer has the opportunity to choose between two competing products, yet one product is offered with financing at reasonable terms, and the other is not, assuming all else is at least equal, a cash-strapped customer is going to choose the product that comes with financing - assuming the terms are fair. Dell, and other large well-capitalized players in VCRA's sector, will always beat out VCRA, in our view. Though we doubt VCRA can even make it anywhere near the finish line if Dell or other similar competitors are known to the customer. Any hospital that is an attractive customer for VCRA will also be attractive to Verizon and other global or national wireless telecommunications providers. 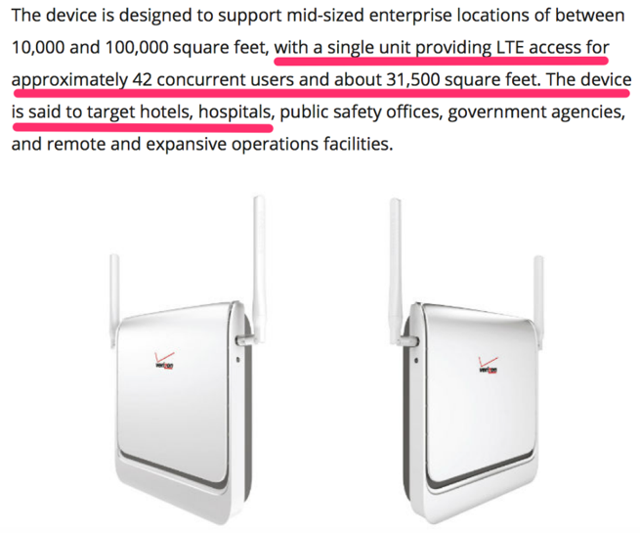 Whereas VCRA relies on hefty up-front payments from new customers to install and 'tune' WiFi routers in a hospital setting, Verizon and others offer leased LTE cellular 'hot-spot' devices commonly referred to as "small cells." The threat to VCRA in this context is that Verizon small cells work just as well, if not better, than WiFi, and Verizon generally retains ownership of the small cell devices rather than demanding large up-front costs be paid by its customers. Again, this comes down to whether or not a hospital's personnel are knowledgeable of the various options available to them in the marketplace or not. If they are aware of the availability of small cells, which cost $10,000 to $20,000 each, while VCRA's average installation cost is in excess $300,000+, they are unlikely to sign on with VCRA. In the recent past, network and internet connectivity took a giant leap when WiFi replaced the need to 'plug in'. We believe this next evolution, whereby the national telecommunication carriers lease their cellular hotspots en masse, will have enormous competitive advantages over WiFi, and will quickly displace WiFi solutions. This is important as a major component of VCRA's revenue is professional services - which management describes as "installation and maintenance of network connectivity." Right now, VCRA and its employees are pitching a system that is built to work on WiFi and the technical expertise of their internal team. 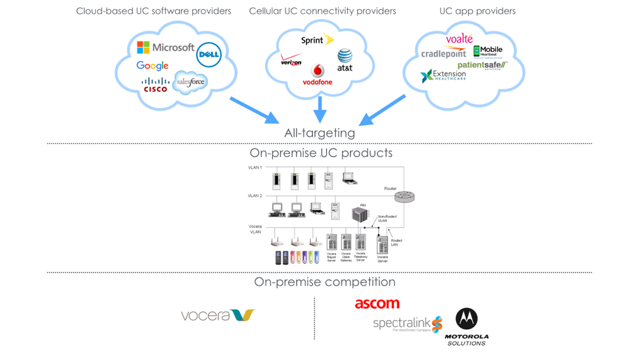 We don't see them faring too well against cellular LTE connectivity hardware pitched by Verizon's technical teams. This revenue stream represented approximately 10% of VCRA's total revenues for 2015. It is going away. We see no rational argument that explains how VCRA can compete with Verizon in this context. The last time VCRA reported significant revenue growth was in 2012 (27% growth) and at this time, backlog was down 29%. Since 2012, the inverse has taken place whereby backlog has been growing substantially each year, i.e. 53%, 36%, 76%, while revenues have remained essentially flat. 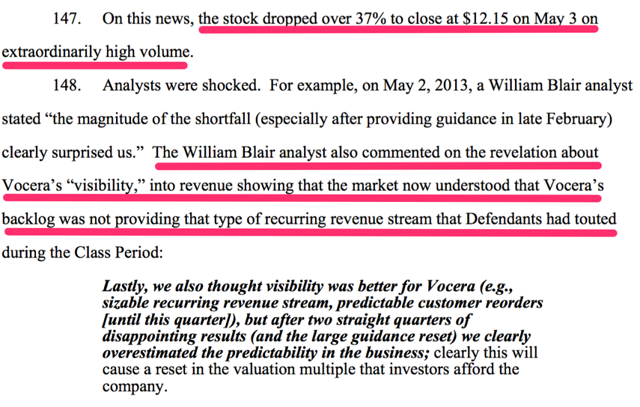 However, management (and analysts that buy in) promotes backlog as the crux to the bull case on the stock - the funny thing is that there is no evidence to suggest that increasing backlog results in increasing revenues - our view is that the inverse appears true for VCRA. We find it difficult to understand how a growing backlog figure is positive - because surely as revenues are flat, with a growing backlog, that means that backlog is barely converting to closed sales - which then begs the question, why isn't it? We speculate either a) customer churn is higher than we think it is, b) the definition of backlog is very loose (making backlog a metric used solely to hype investors about VCRA's stock). What is amazing to us is that Mr. Lang is currently being sued in relation to this topic right now but he continues to suggest growth in backlog is critical for VCRA. Below is commentary from an analyst about the suggestion that VCRA's backlog was not nearly as helpful in predicting near term results as they had been led to believe. Investors should be aware that Mr. Lang's hype of VCRA's backlog ended up costing shareholders dearly just a few years ago - as seen in the image above where VCRA's stock dropped 37%. Backlog does not provide the visibility Mr. Lang suggests. It's a bit shocking to us that Mr. Lang's message has not wavered, even after the massive losses shareholders for shareholders over the years. 1. VCRA's 'backlog' is an unaudited figure allowing management to massage the figure any way they see fit without facing inquiry. Given the lack of oversight on this metric and Mr. Lang's history (accused of direct involvement in a securities violation that may be settled for $9M this month), we see no reason to believe VCRA's backlog figures are even accurate. VCRA responded to our Initial Report on April 6, 2016 (the "Response"). 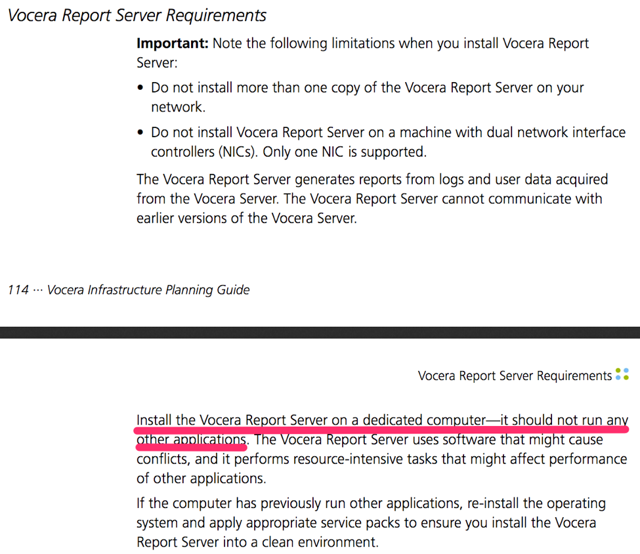 Vocera's management chose to ignore the crux of our original claims. Vocera's Response indicated that allegations and settlements of prior lawsuits by Vocera's Chairman, Robert Zollars, are known and issues of the past - the bottom line however is that a background littered with questionable business activity is something that is hard to chew on. Fraud is fraud. The fact is that these questionable actions surround the Chairman and it doesn't matter when they happened. In our view, association with three alleged/settled frauds is a sign of an individual who cannot be trusted. The likelihood Mr. Zollars is looking out for shareholders at any point seems highly questionable given his history. Subsequent to publishing this report we will provide a detailed overview of the evidence we reviewed that alerted us to the long history of questionable conduct by Mr. Zollars. A detailed review of the fundamental claims we made in our Initial Report is provided in Exhibit 2 to this report. In our Initial Report, we illustrated that management's character is highly questionable, that VCRA's product is not competitive (specifically the device), is unloved, and that VCRA has consistently been unable to generate profits. We set out to understand VCRA's response that their system was key to their future and after an in-depth review of their technology and the opportunity at hand, we are more convinced than ever that this company can not generate profits with its current sole product offering and this is unlikely to ever change. We see VCRA's system as a loosely-engineered mix of non-proprietary components that has little chance of being both competitive and profitable when matched against numerous new modern cloud-based products. We believe VCRA's only chance of survival would have been to out-innovate all of its competitors. If it does not, shareholders are best served by VCRA shutting down operations and returning cash on hand to shareholders (still an over 60% loss to current share value). VCRA's on-premises non-proprietary product built primarily with off-the-shelf components appears obsolete - much like its badge device. However, we believe VCRA is not a real technology company. VCRA's lack of innovation highlights its technology and intellectually property that have limited competitive advantages (and as such value). To date, we have seen no commentary from management or other signs that VCRA has committed to developing a competitive cloud product to replace its on-premises product. We believe management's strategy is clear now. They will continue to siphon off as much compensation (i.e. cash and stock) as they can until VCRA sales fall off a cliff. We reiterate our $4.50 near term and $0 long-term target on VCRA shares. The following is a component by component analysis we completed to determine the non-proprietary components VCRA uses in its system design. This analysis is meant to tie directly into Figure 1 to this report. 1. VCRA Chairman was CEO or Chairman of 3 companies previously accused of fraud, 2 of which settled for a total of $709.8 million, the 3rd fraud is a possible $9 million VCRA securities fraud. SkyTides: This was the first item in our report. We listed it first because we felt it was a shocking track record for a "sitting Chairman" of a public company. How is Mr. Zollars still holding onto this position at VCRA - nevermind any other company? What does this say about the Board of Directors of VCRA? Are they asleep at the wheel? Are they concerned whether or not they have the best leadership team in place at VCRA? We are unsure as to why VCRA had no response to this statement. Mr. Zollars was the CEO of VCRA from June 2007 through May 2013. He has continued to stay involved with VCRA since abandoning his role as VCRA CEO. When prior business dealings of the former CEO and highest ranking employee of VCRA are brought to the forefront and the various failures and frauds he has been associated come to light - an investor should take pause and consider who they are investing in. In our view, investing in a technology company is about the people and the technology. When the credibility of one of those two, either the people or the technology, is highly questionable, we feel any long term investor should take pause and consider cutting their losses immediately and walking away from investments in questionable people. SkyTides: We found the lack of response to our claims about Motorola quite surprising. VCRA does not mention Motorola once in its Form 10-K annual report filed on March 14, 2016. We believe Motorola is a significant competitor to VCRA. VCRA's lack of response appears to us to be an admissions that Motorola is a major competitor. 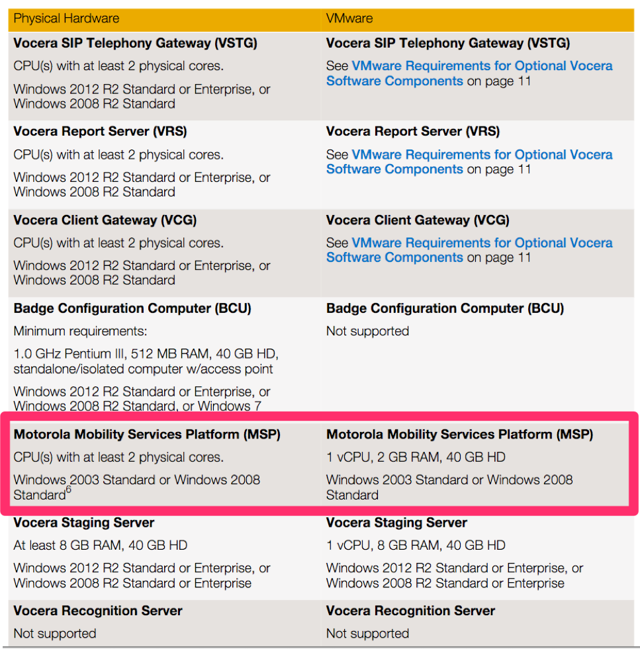 We note that VCRA did not list Motorola as a competitor in the 2015 10-K. This is either an unintentional error or is an intentional misrepresentation of the competitive forces VCRA is facing every day. SkyTides: We view the lack of response to our statement as an affirmation that VCRA's last major product launch was in 2011 and 9 of its competitors, of which only 2 were disclosed in its Form 10-K annual report filed on March 14, 2016, all have had major product launches in the last 11 months. VCRA management, we wish to inform you that this is 2016. A 5 year old wireless communications device (i.e. 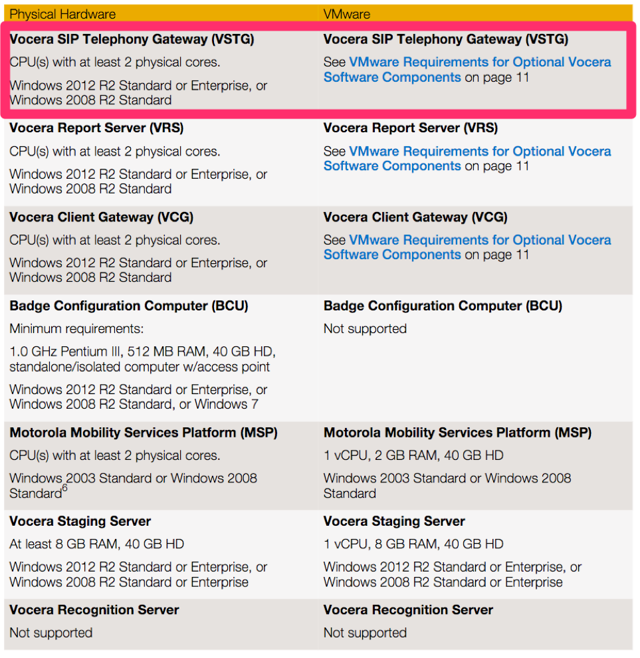 VCRA hardware) and communications platform (i.e. VCRA software) has no place in today's competitive marketplace. SkyTides: We see why VCRA didn't respond to this topic. It is quite clear that VCRA's product has significant defects - after all - the defects are listed on VCRA's own website. SkyTides: These figures are clear facts. SkyTides: We ask VCRA's CFO to explain in detail, in accounting terms, why the actions of VCRA management as depicted by the former VCRA Senior Director of Internal Audit and Compliance, do not constitute accounting fraud. SkyTides: We found the lack of response to our claims about financing installation costs or offering steep discounts to customers very interesting. We wonder if this is something VCRA is considering right now - perhaps this issue is more urgent then we expected. This turn of events could be absolutely disastrous for VCRA shareholders if each installation of VCRA's product actually does cost $300,000 or more. If VCRA has approximately $100 million in cash today, their cash could quickly decline towards $0. SkyTides: The lack of a touch screen and the inability to keep a call history for its users represent two technological issues that VCRA has either not been able to solve or inexplicably has no desire to fix. Call history was available on the very first cellphones - we remember the Motorola StarTAC from 1996 had call history. SkyTides: Enough said. We believe we made our point. VCRA's international opportunity appears to be nothing more than an ongoing hype since 2012 that has led VCRA nowhere fast. SkyTides: Enough said. We believe we made our point. VCRA's deal size does not appear to be increasing. In fact it may be decreasing - and it surely is decreasing or is less per customer in the international market - though VCRA does not admit this when it speaks of its international opportunity. SkyTides: Enough said. We believe we made our point. VCRA's combined annual growth rate from 2012-2015 shows a decrease of 5.07% rather than an increasing growth rate that VCRA attempts to portray. 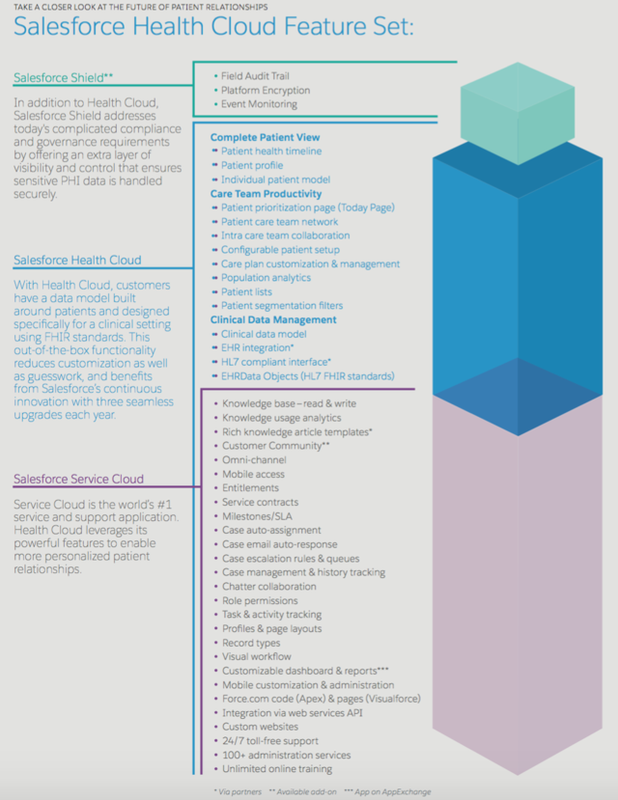 The Salesforce Health Cloud product was launched in February 2016. We provide a few screenshots of its functionality, user interface and user reviews below. We are short shares of VCRA and are long VCRA puts. We may add to our short position at any time. All information included within this report is sourced from publicly available materials. As of the publication of this report we have not communicated with management of VCRA. By viewing material on this website you agree to the following Terms of Service. You agree that use of SkyTides Inc.’s (“SkyTides”) research is at your own risk. In no event will you hold SkyTides or any affiliated party liable for any direct or indirect trading losses caused by any information on this site. You further agree to do your own research and due diligence before making any investment decision with respect to securities covered herein. You represent to SkyTides that you have sufficient investment sophistication to critically assess the information, analysis and opinion on this site. You further agree that you will not communicate the contents of this report to any other person unless that person has agreed to be bound by these same terms of service. If you download or receive the contents of this report as an agent for any other person, you are binding your principal to these same Terms of Service. Unless otherwise stated within an "additional disclaimer" with this article, you should assume that as of the publication date of our reports and research, SkyTides (possibly along with or through our members, partners, affiliates, employees, and/or consultants) along with our subscribers, clients and/or investors and/or their clients and/or investors has a long or short position in all stocks (and/or options, swaps, and other derivatives related to the stock) and bonds covered herein, and therefore stands to realize significant gains in the event that the price of either increases or declines. We may also have previously purchased shares of the stocks we discuss in our research in private transactions, sometimes referred to as private investments in public entities ("PIPEs") which you acknowledge are generally completed at a discount to market prices. Our employees, partners, members, affiliates, family members and others may also transact in the shares of the stock we discuss in our research. Certain individuals and entities have paid or may pay us in the future for access to our research prior to it being made publicly available. We intend to continue transacting in the securities of issuers covered on this site for an indefinite period after our first research article or research note, and we may be long, short, or neutral at any time hereafter regardless of our initial recommendation. This is not an offer to sell or a solicitation of an offer to buy any security, nor shall SkyTides offer, sell or buy any security to or from any person through the SkyTides website at www.skytides.com. SkyTides is not registered as an investment advisor in any jurisdiction. You acknowledge that the author(s) of any publication released by SkyTides at www.skytides.com or www.hvst.com do not hold any accreditation such as the Chartered Financial Analyst designation, or other comparable designations, to perform any valuation services related to any investment opportunity discussed by SkyTides. If you are in the United Kingdom, you confirm that you are accessing research and materials as or on behalf of: (a) an investment professional falling within Article 19 of the Financial Services and Markets Act 2000 (Financial Promotion) Order 2005 (the "FPO"); or (b) high net worth entity falling within Article 49 of the FPO. Our research and reports express our opinions, which we have based upon generally available information, field research, communications with management (only when specifically indicated), inferences and deductions through our due diligence and analytical process. To the best of our ability and belief, all information contained herein is accurate and reliable, and has been obtained from public sources we believe to be accurate and reliable, and who are not insiders or connected persons of the stock covered herein or who may otherwise owe any fiduciary duty or duty of confidentiality to the issuer, unless otherwise specifically indicated. However, such information is presented “as is,” without warranty of any kind, whether express or implied. SkyTides makes no representation, express or implied, as to the accuracy, timeliness, or completeness of any such information or with regard to the results to be obtained from its use. Further, any report on this site contains a very large measure of analysis and opinion. All expressions of opinion are subject to change without notice, and SkyTides does not undertake to update or supplement any research articles or research notes or any of the information, analysis and opinion contained in them. You agree that the information on this website is copyrighted, and you therefore agree not to distribute this information (whether the downloaded file, copies / images / reproductions, or the link to these files) in any manner other than by providing the following link: http://www.skytides.com/research.html. If you have obtained SkyTides research articles or research notes in any manner other than by viewing from the SkyTides website at www.skytides.com, you may not read such research without going to http://skytides.com/terms-and-Services and reading the Terms of Service. You further agree that any dispute arising from your use of this report and / or the SkyTides website or viewing the material hereon shall be governed by the laws of the British Virgin Islands (“BVI”), without regard to any conflict of law provisions. You knowingly and independently agree to submit to the personal and exclusive jurisdiction of the courts located within the BVI and waive your right to any other jurisdiction or applicable law. The failure of SkyTides to exercise or enforce any right or provision of these Terms of Service shall not constitute a waiver of this right or provision. If any provision of these Terms of Service is found by a court of competent jurisdiction to be invalid, the parties nevertheless agree that the court should endeavor to give effect to the parties’ intentions as reflected in the provision and rule that the other provisions of these Terms of Service remain in full force and effect, in particular as to this governing law and jurisdiction provision. You agree that regardless of any statute or law to the contrary, any claim or cause of action arising out of or related to use of this website or the material herein must be filed within one (1) year after such claim or cause of action arose or be forever barred.